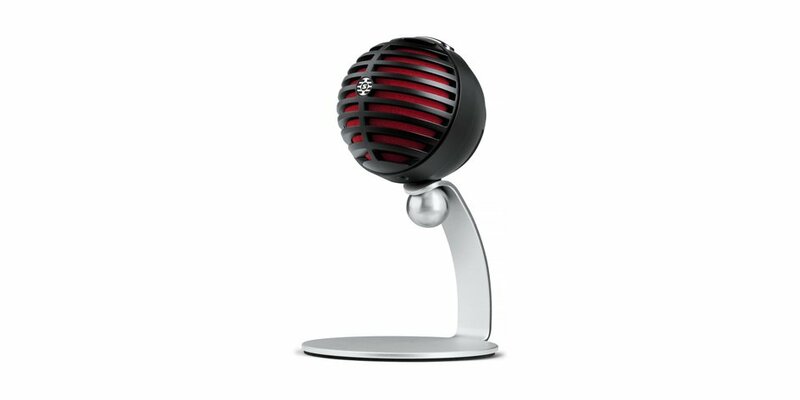 With an iconic design that inspires performance, the MV5 Condenser Microphone offers professional-quality audio, plus the flexibility of both iOS and USB connectivity. Plug it in and get to work right away, or take advantage of three onboard DSP presets to quickly dial in the right sound for your project. For enhanced control over EQ, compression and more, dive even deeper with the free ShurePlus™ MOTIV™ Mobile Recording App for iOS, which features recording, editing, and the option to share your recordings with the world. Zero-latency headphone monitoring with volume and mute, and an adjustable stand completes the recording experience.